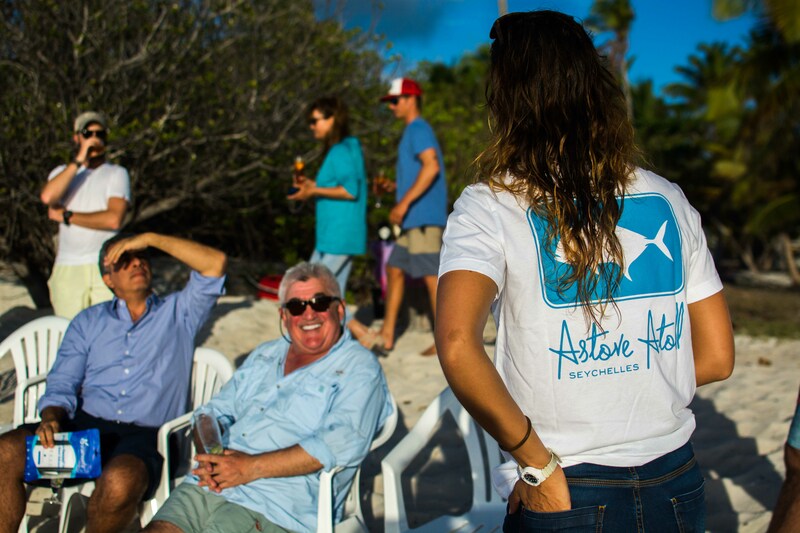 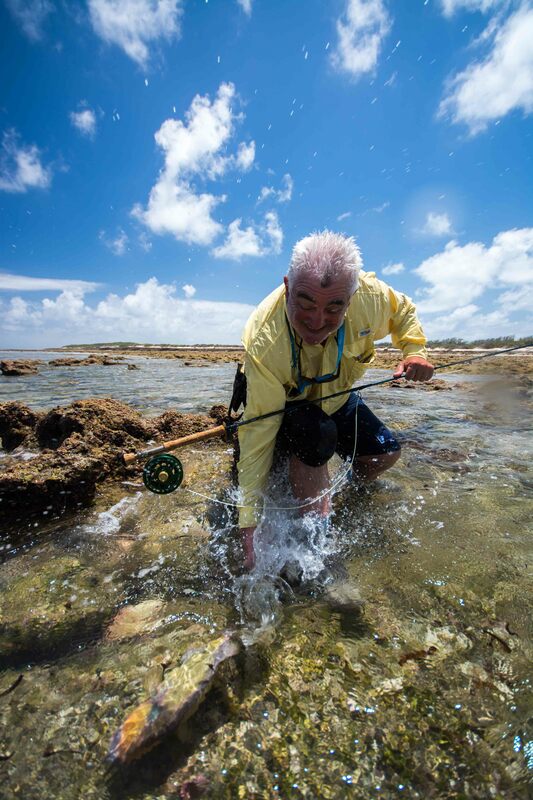 The Astove team were thrilled to welcome some of our more regular fishing friends. 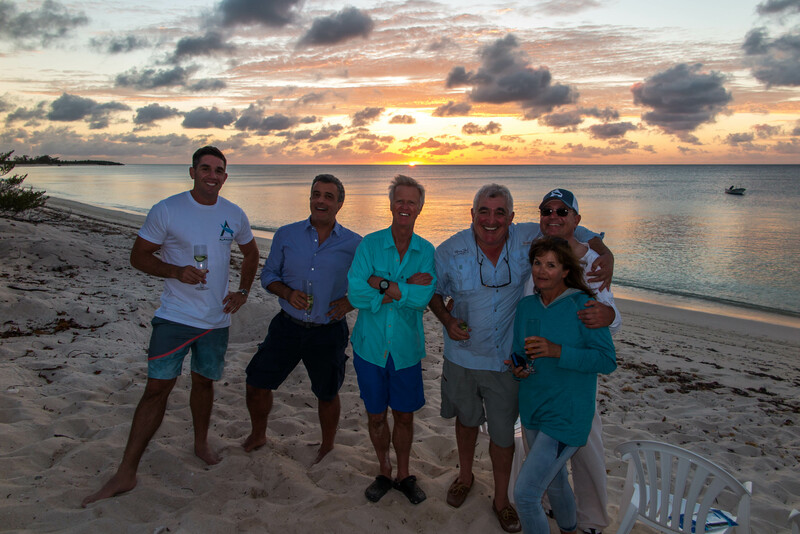 A formidable team full of good spirits and great fun, to say the least! 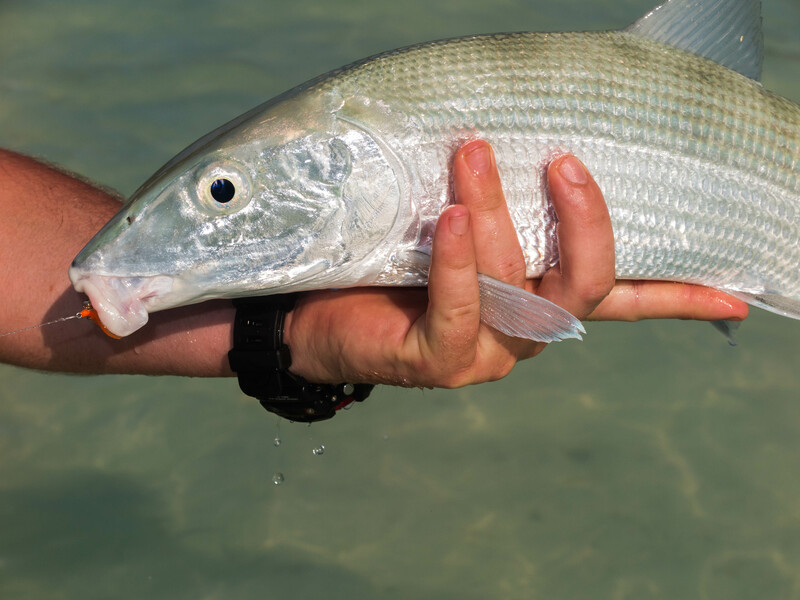 Unfortunately, the first morning saw a large low-pressure system advance in from the East to make fishing extremely difficult for the first three days. 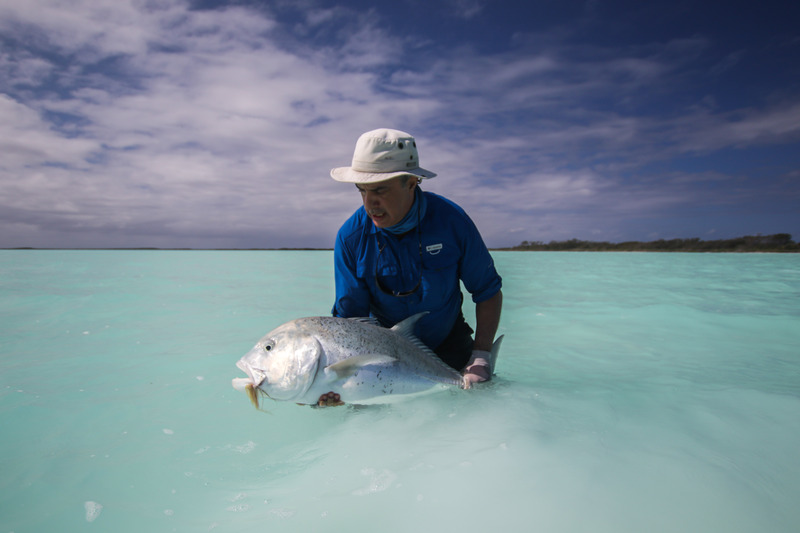 Despite the tough conditions the team worked hard and tried everything in the book to get on top of fish, when finally the weather cleared up. 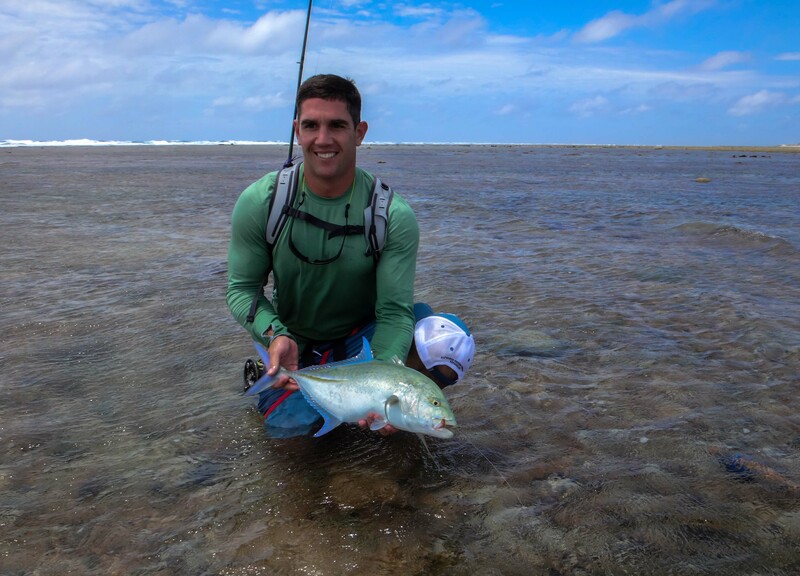 The ocean swell settled down allowing some time for the team to venture offshore to explore the outer reefs. 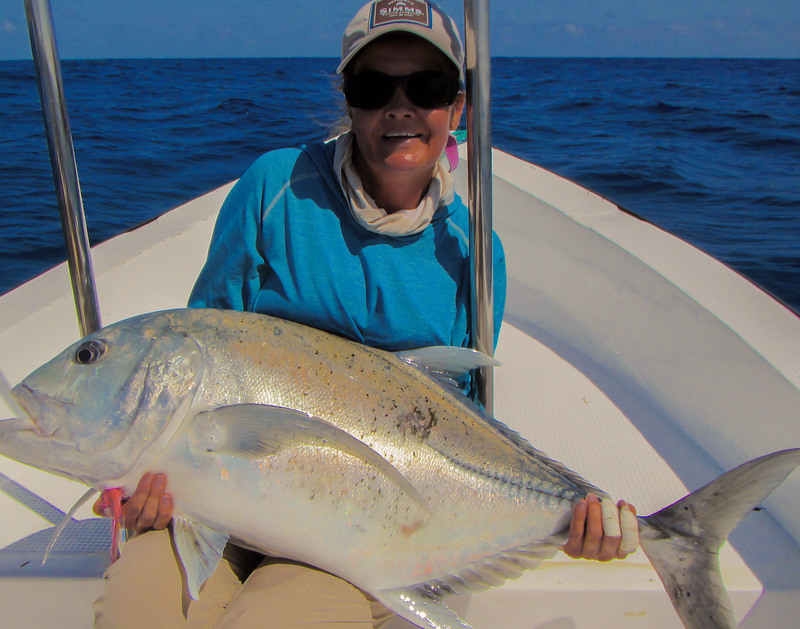 Joern and Maria H started with a brace of nice GT’s, Joern’s measuring 101cm and Maria’s 92cm. 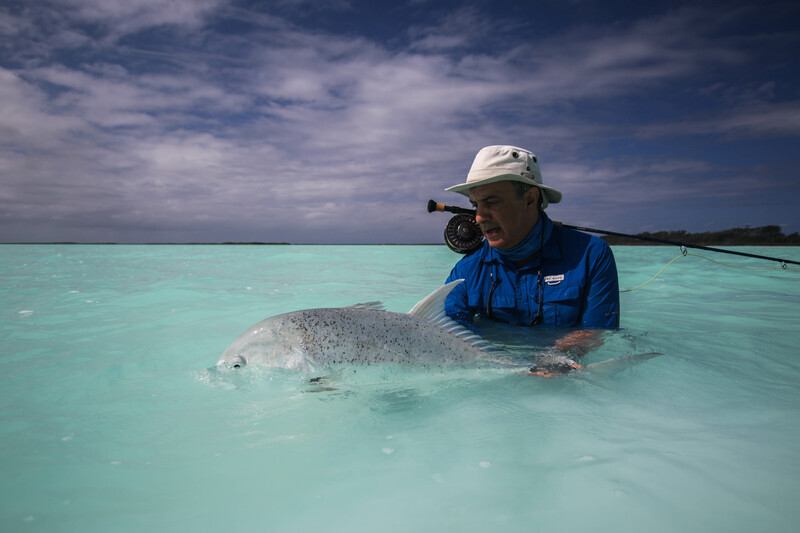 Nadim stayed inside the lagoon and with his guide poling the skiff into perfect position was presented with a great opportunity and caught a cracking GT measuring 98cm. 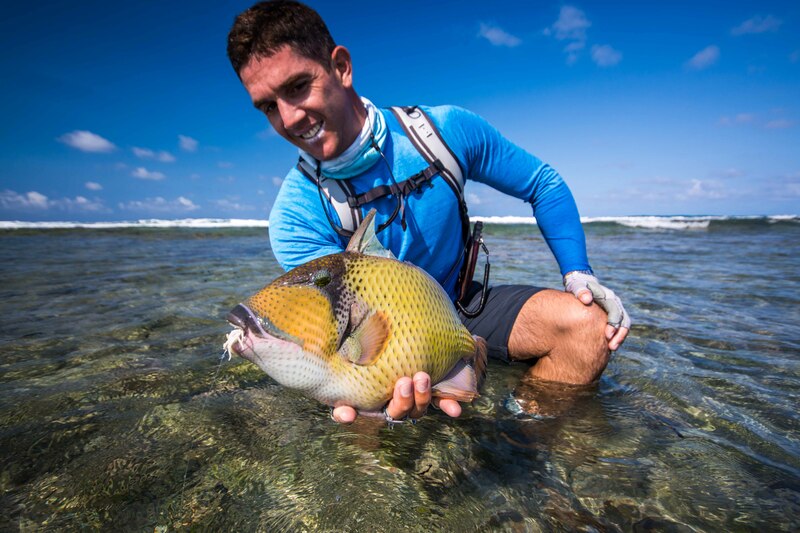 As if by design, the triggerfish also decided to celebrate the good weather, and three fish were landed. 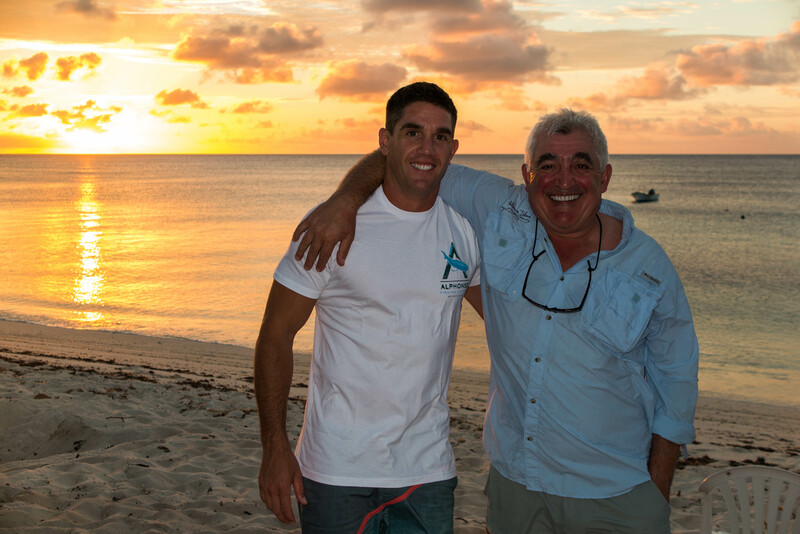 Joe landed his first triggerfish ever and Phil, not to be outdone, equaled his son’s achievement. 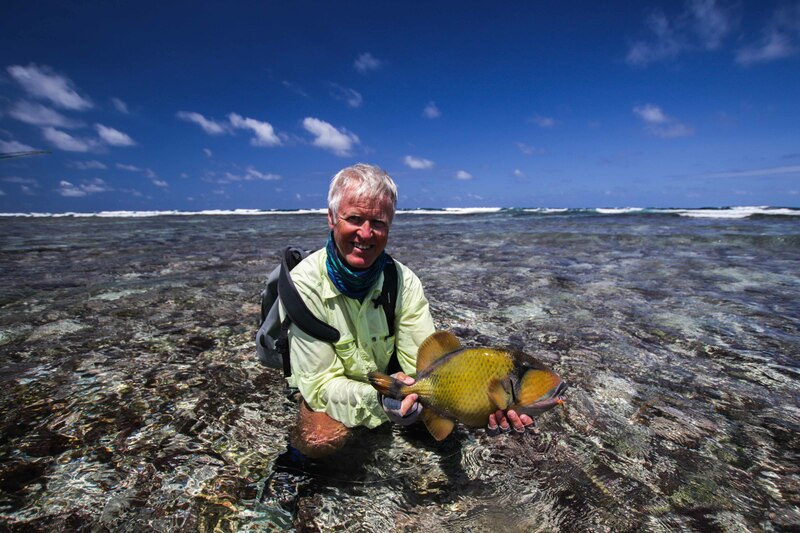 Mike N also joined the party by landing a cracking triggerfish in the surf. 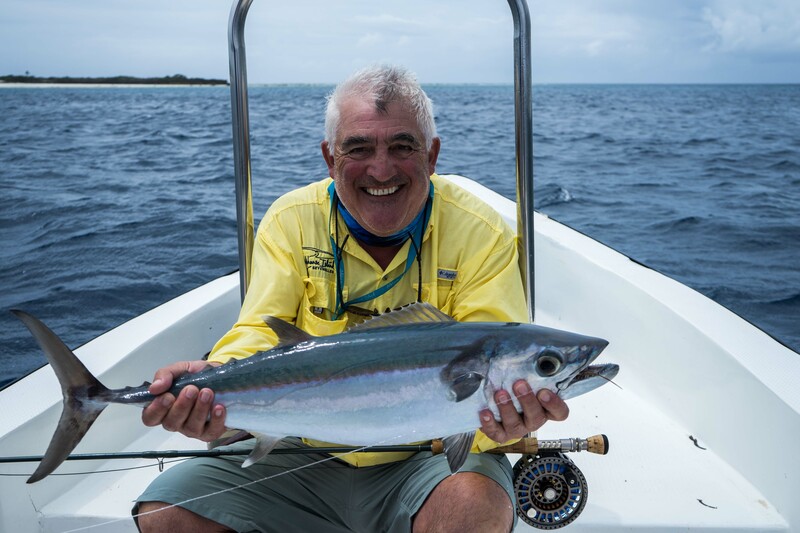 After the run of bad weather, the celebrations of some great catches got quite festive. 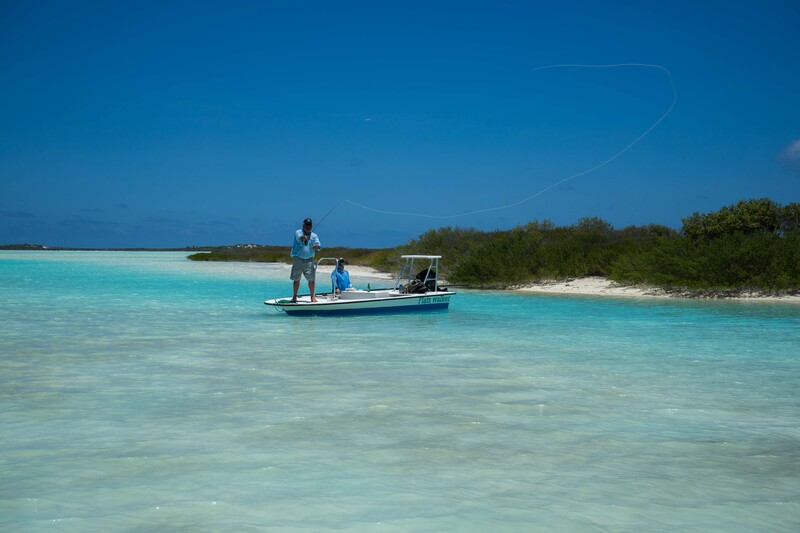 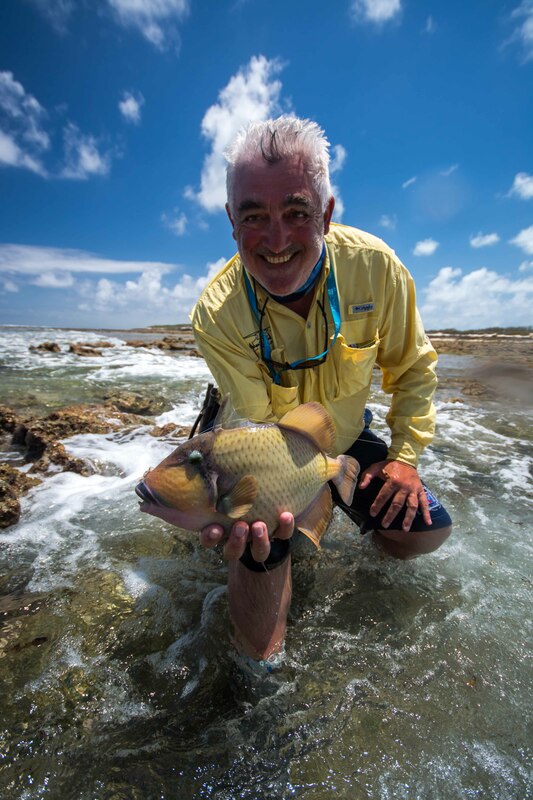 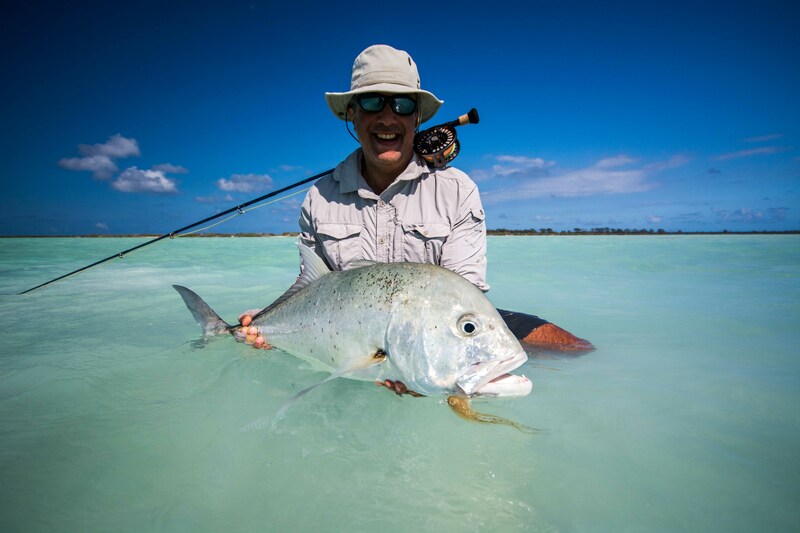 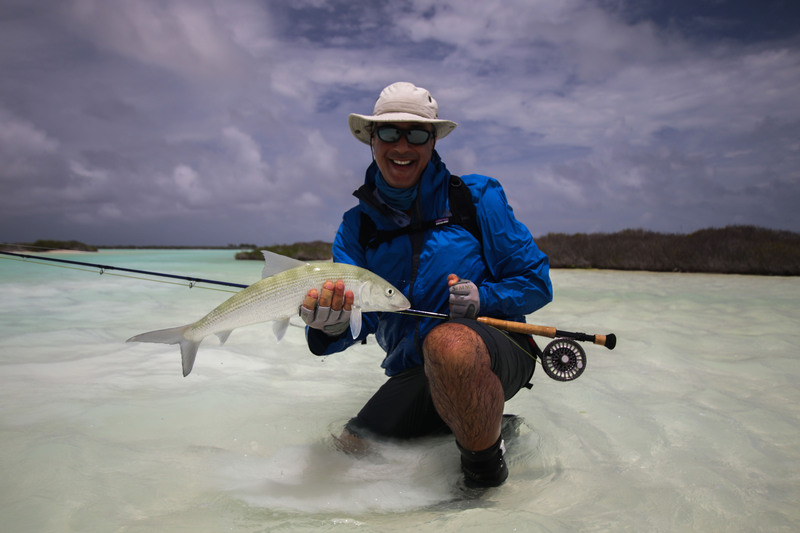 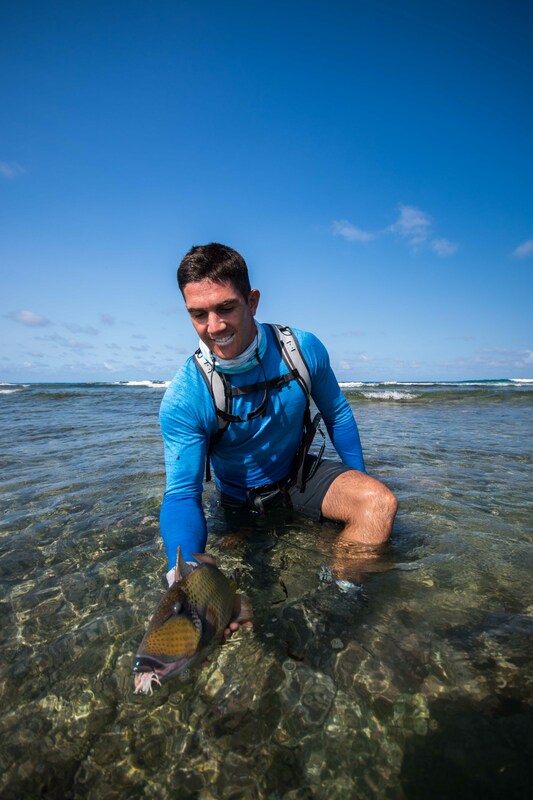 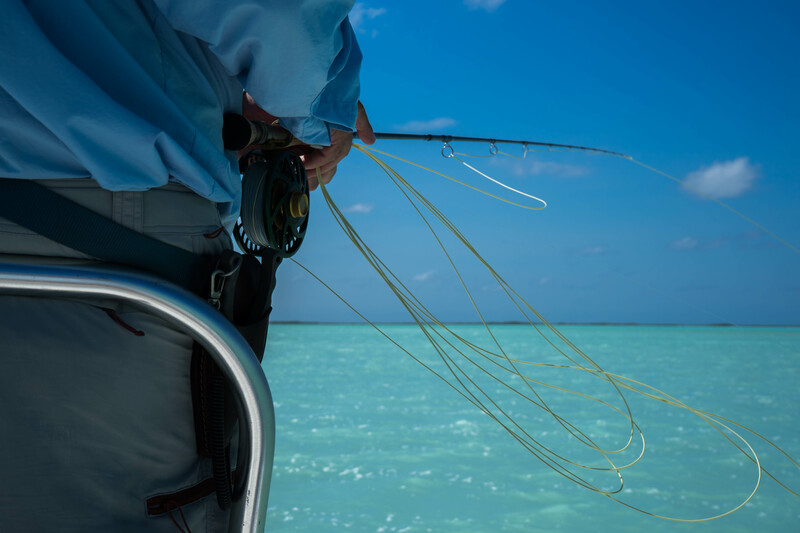 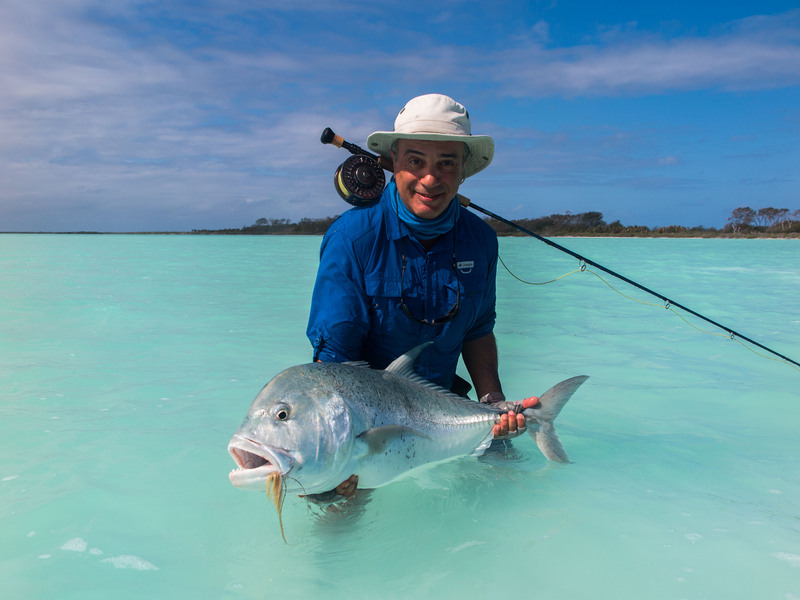 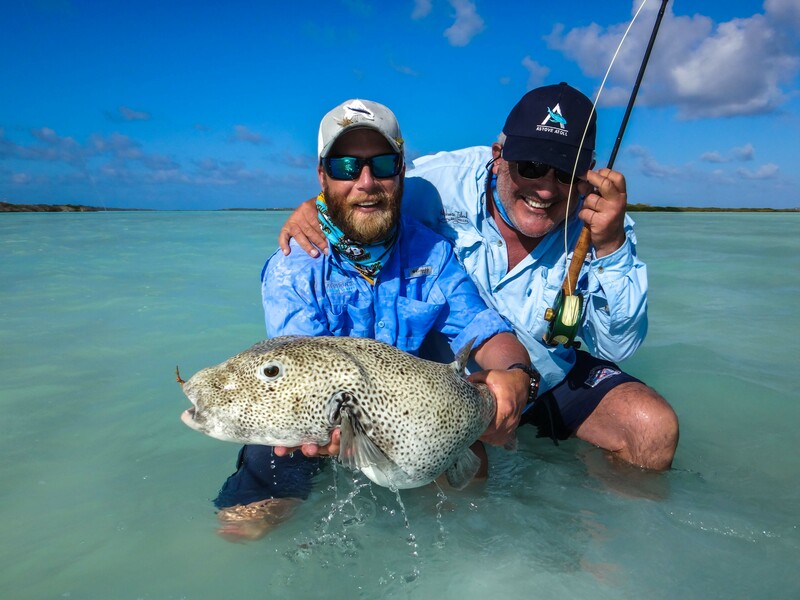 As the week progressed the moon phase changed and the tides lapsed into their neap phases, strategies were shifted and Nadim capitalized on the perfect lagoon conditions by landing two beautiful GT’s on the white sand, at one of the most beautiful spots on the atoll called ‘Czech Point’. 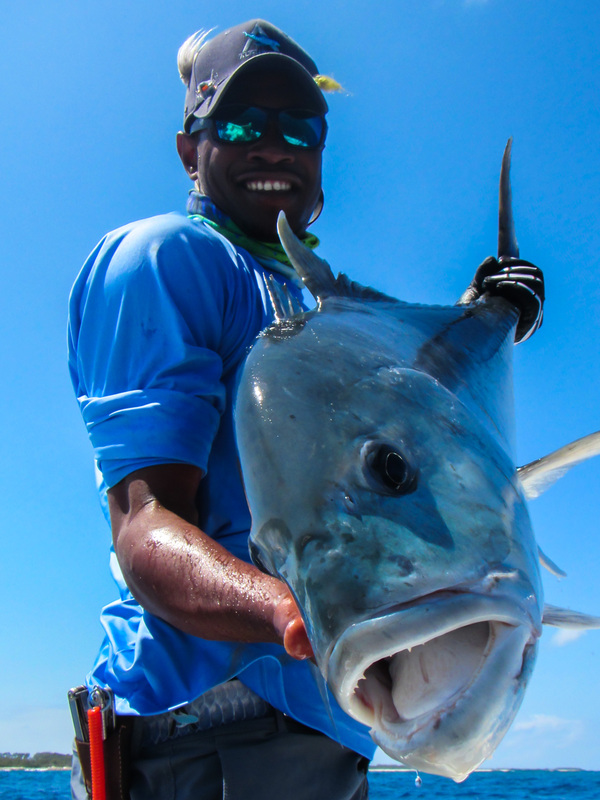 Nadim’s fish stretched the tape to 92 and 85cm finishing off a wonderful weeks fishing for Nadim. 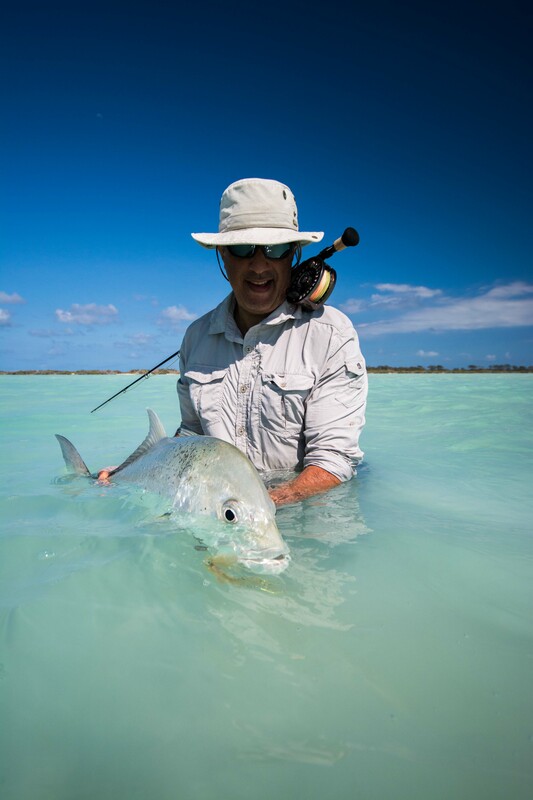 Sadly the weather played its part in restricting the fishing to the Western and lagoons edge of this week. 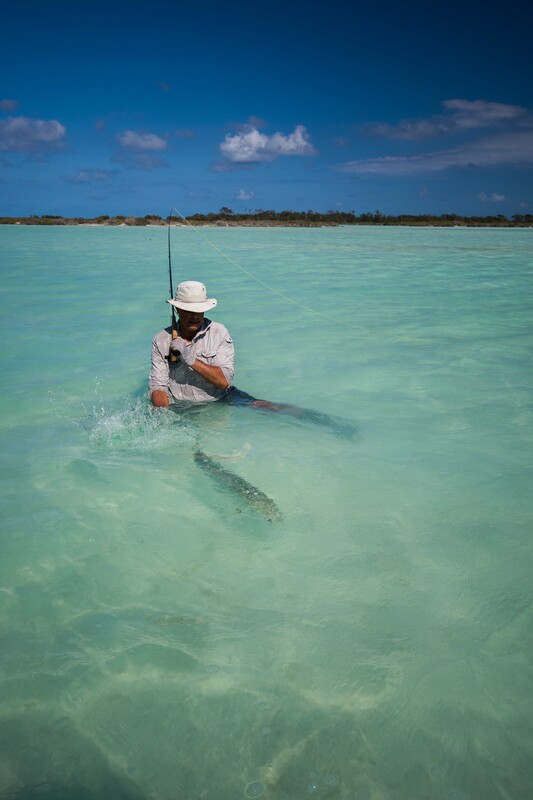 A big thanks to the fishing team that persevered and at the end of the day their comradely made for a wonderful week. 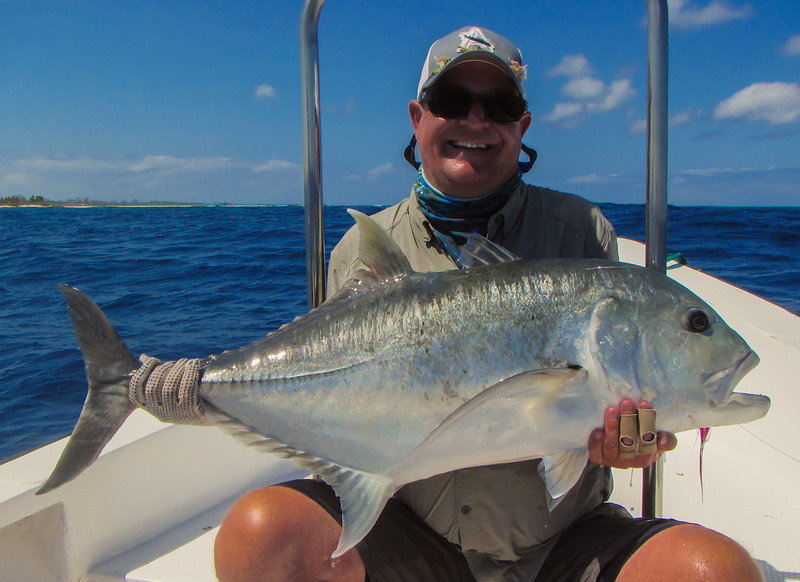 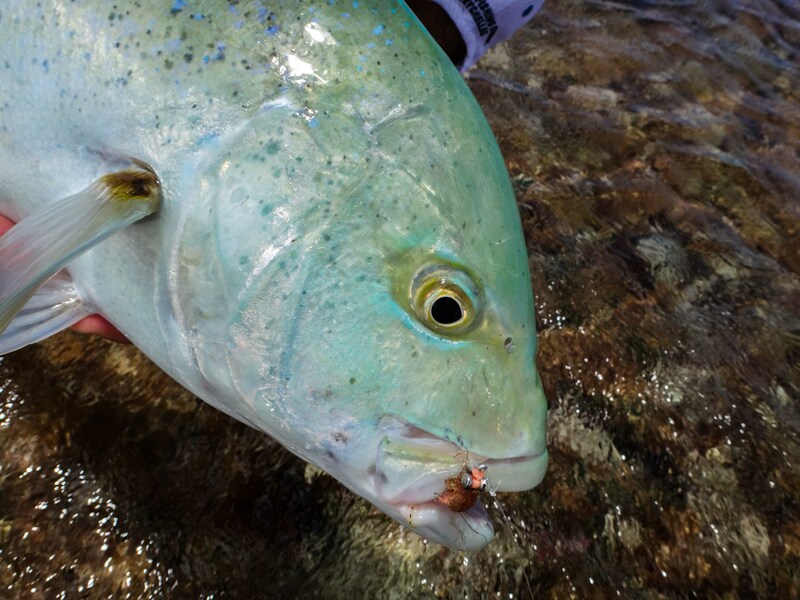 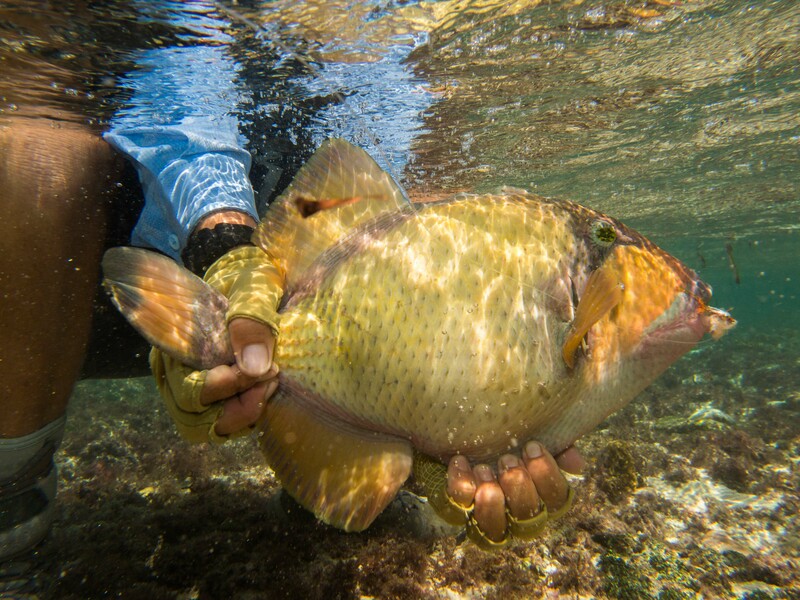 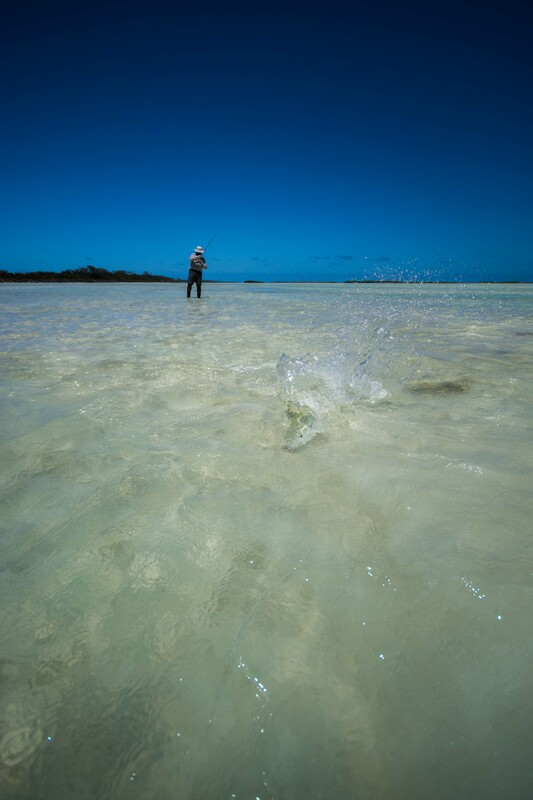 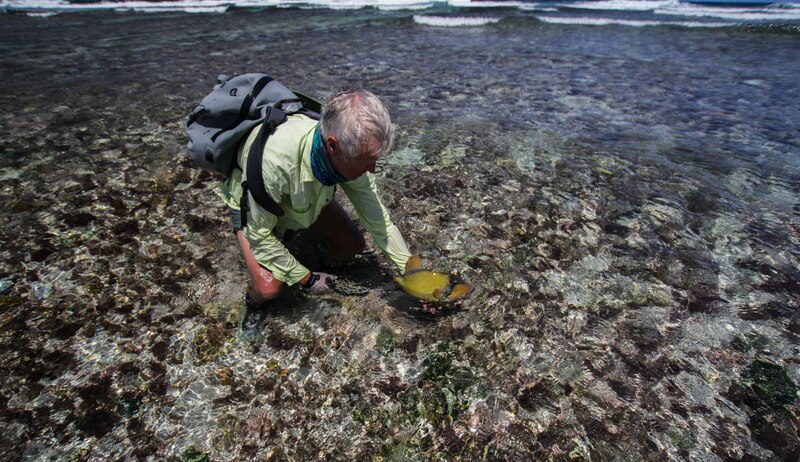 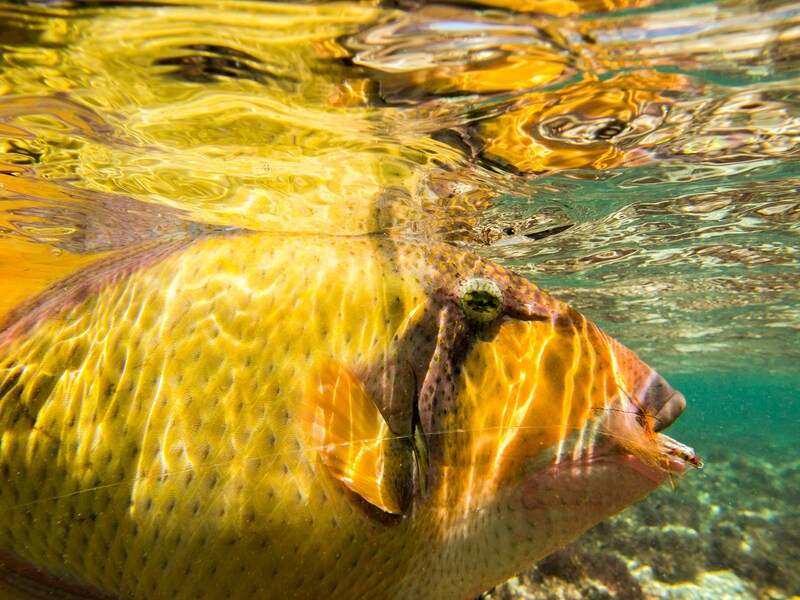 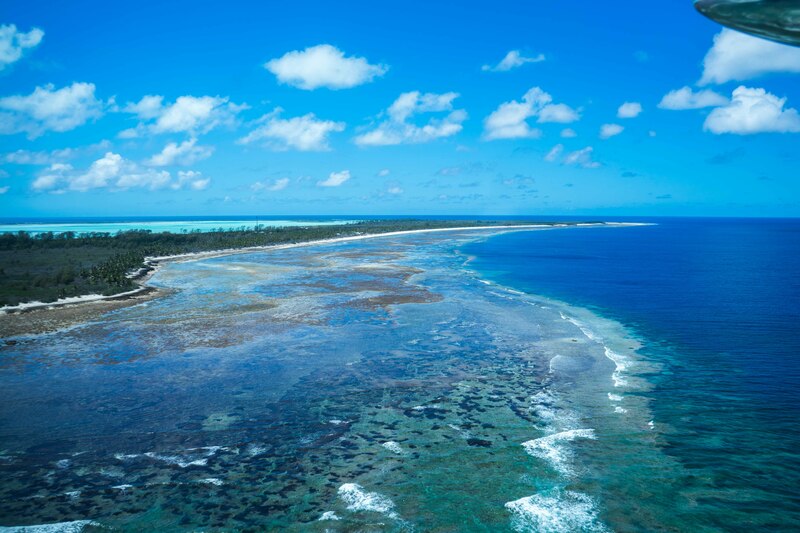 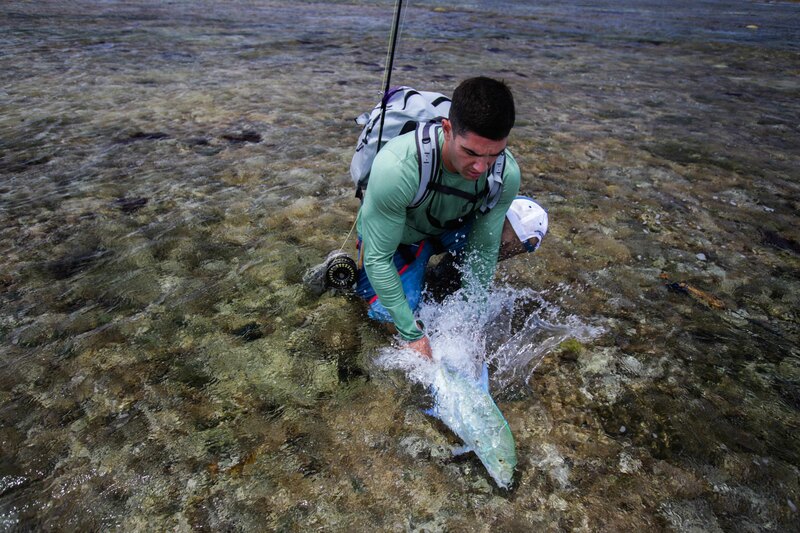 See more images and read the latest fishing reports of Cosmoledo and Alphonse Island.